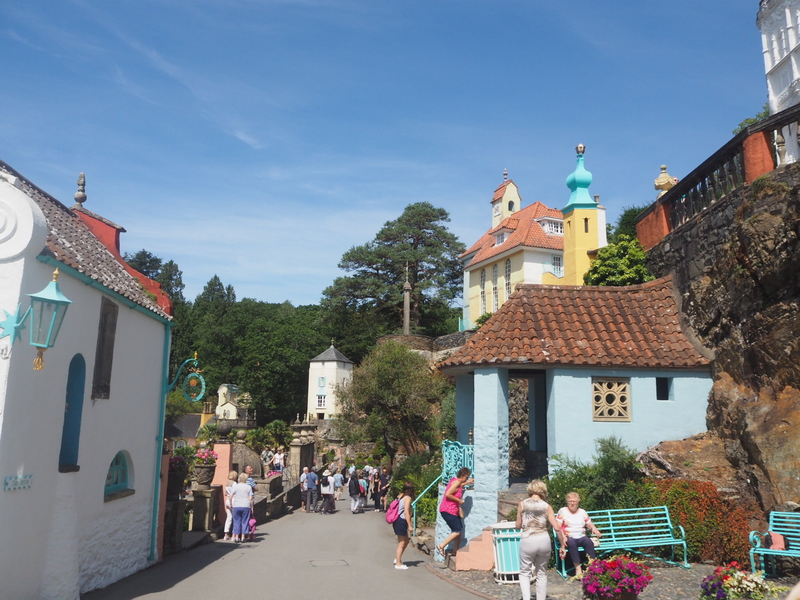 I’m originally from North Wales in the UK and I recently took a trip home for four weeks where I got to spend lots of time with my friends and family. 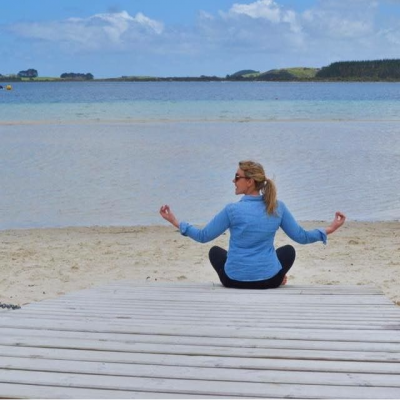 The UK was experiencing a heat wave and I had beautiful weather the whole time I was home – I couldn’t have asked for anything better. 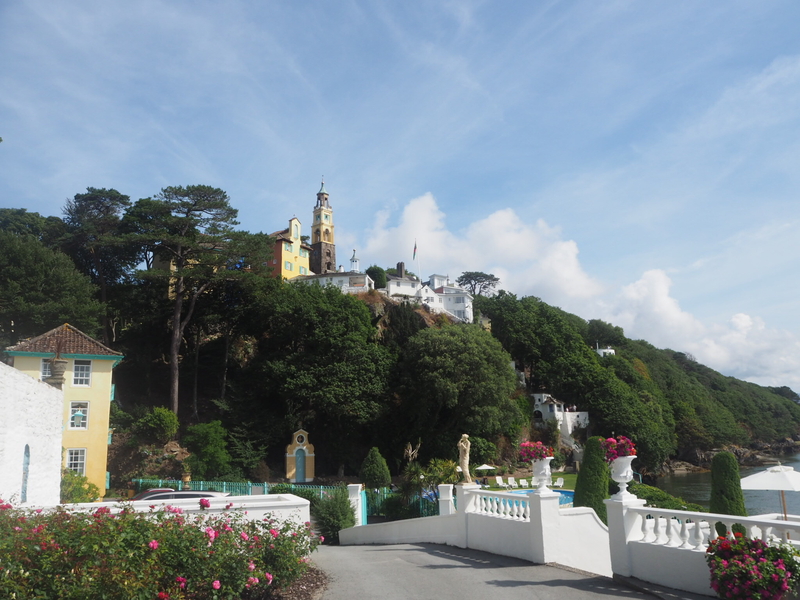 One of the places in North Wales I wanted to visit was the village of Portmeirion – I couldn’t believe I hadn’t visited before. 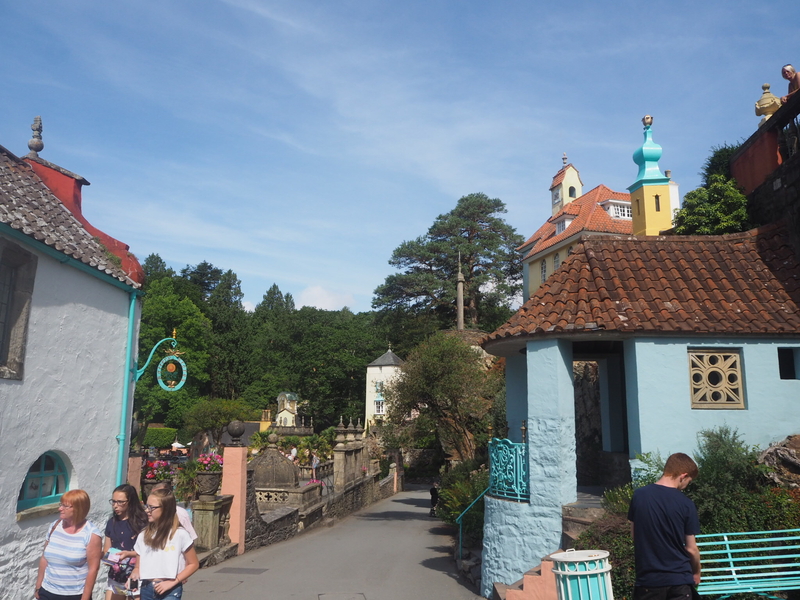 Portmeirion was created by Welsh architect Clough Williams-Ellis from 1925 to 1973. 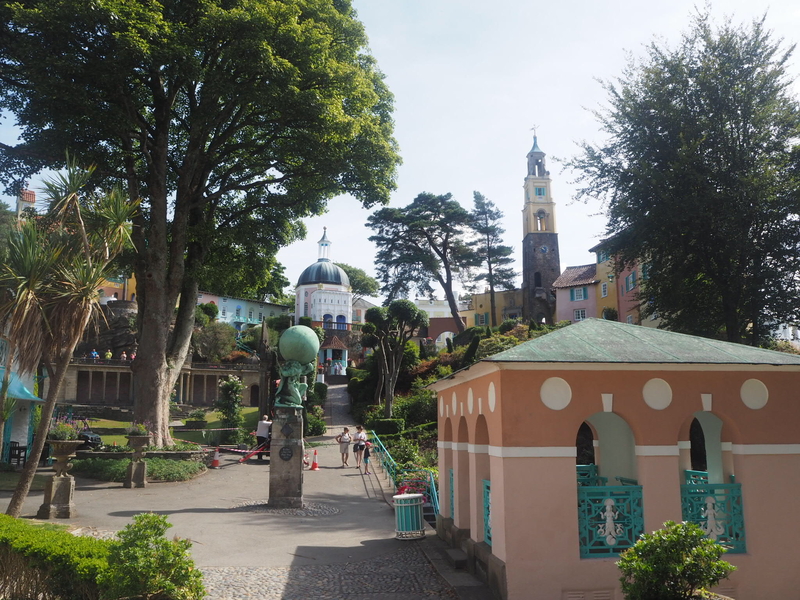 It is Italian in style and with the weather we were blessed with you could have imagined that you really were on the Italian Riviera. 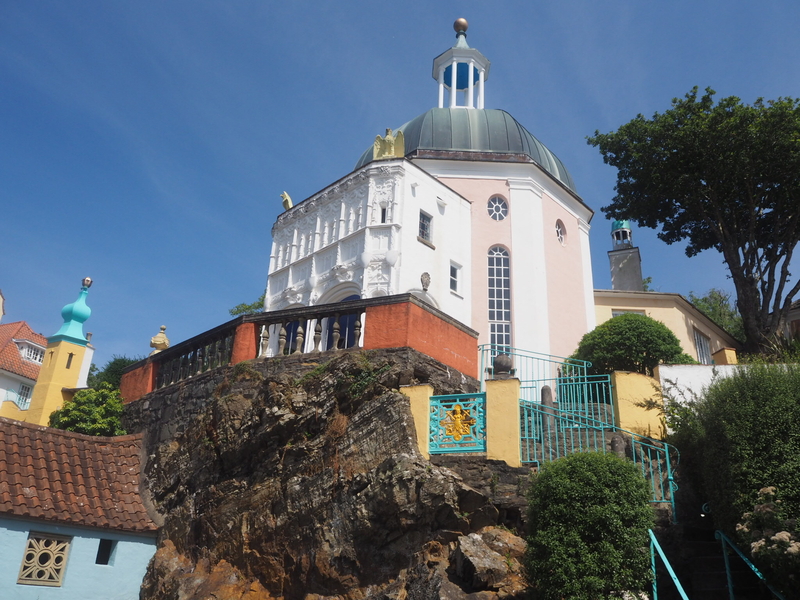 Today, Portmeirion is one of Wales’s most visited tourist attractions and welcomes over 200,000 visitors a year. 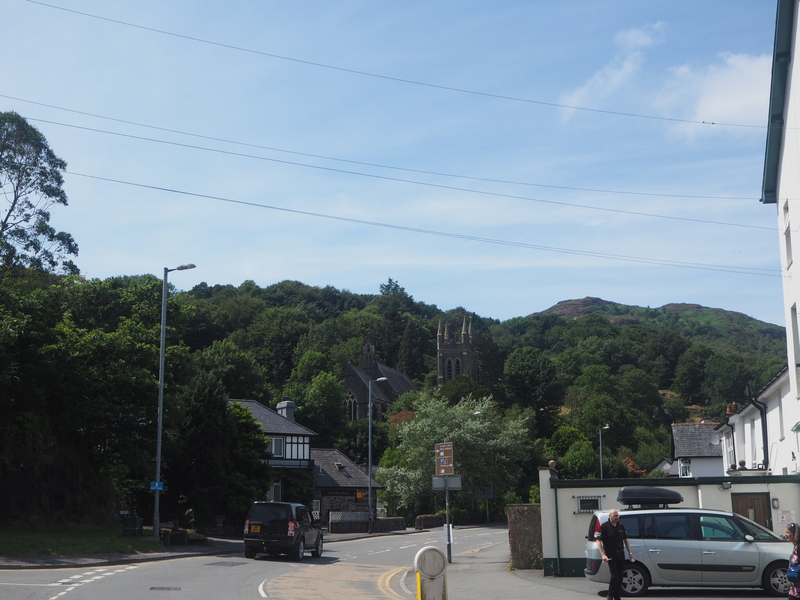 There is plenty of free parking available but there is a charge to get into the village itself. 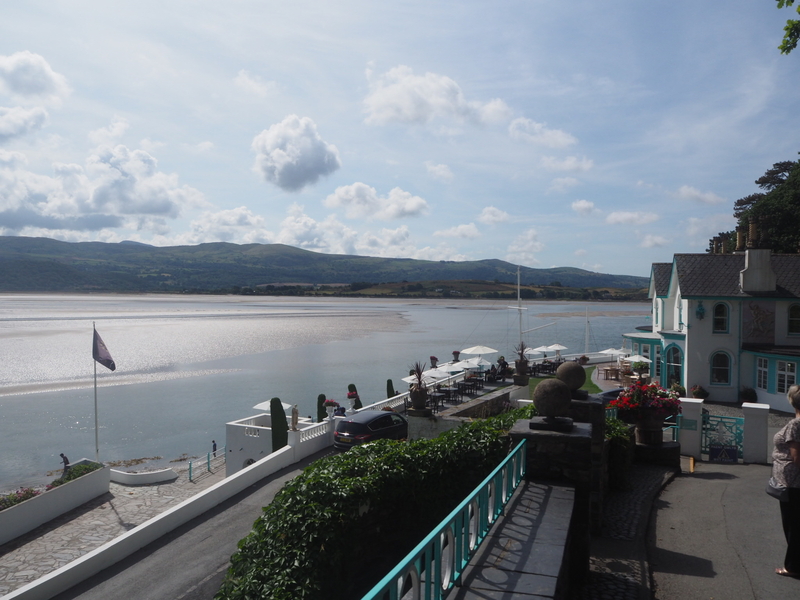 It is so worth it and if you are visiting the North Wales coast I couldn’t recommend a day trip here more. 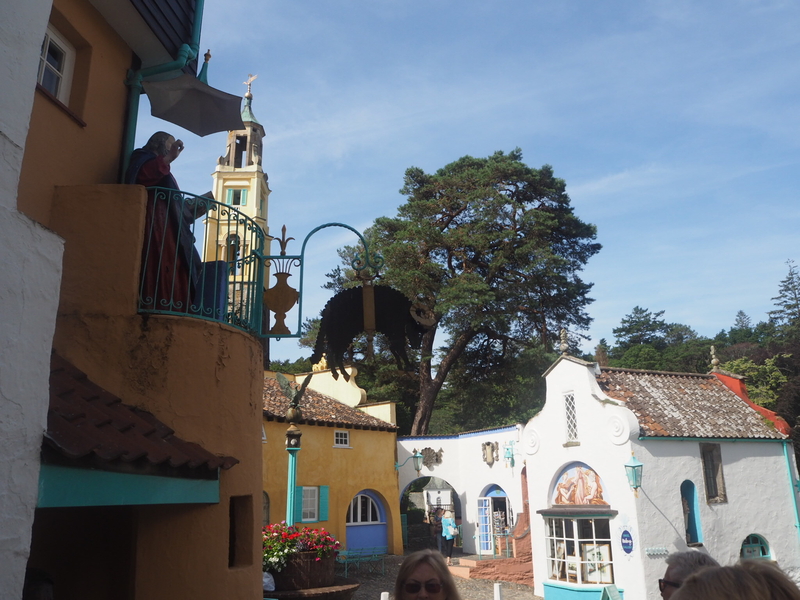 The village is open daily between 9.30am and 7.30pm except on Christmas Day and when the village hosts Festival Number Six. 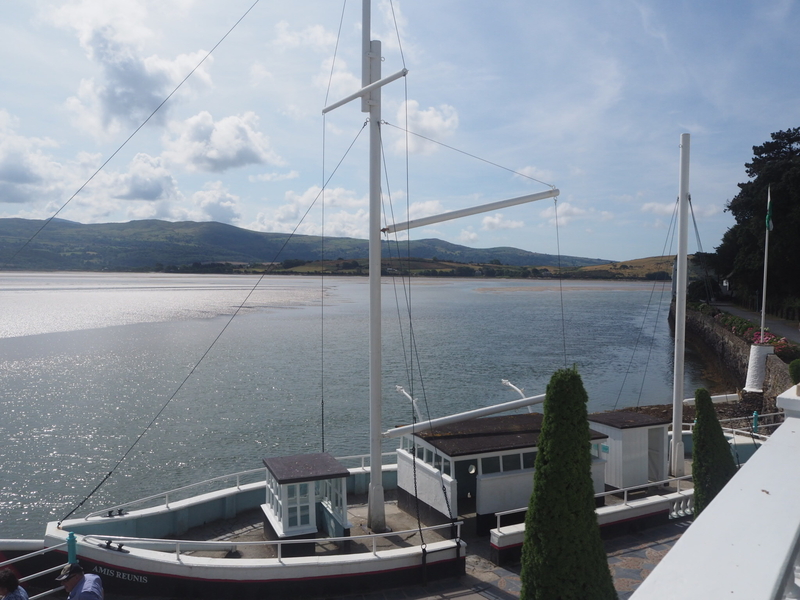 Winter prices (between November 2018 and March 2019) are 8 pounds per adult but you can save 10% by booking in advance online here. Children up to the age of 15 are free. 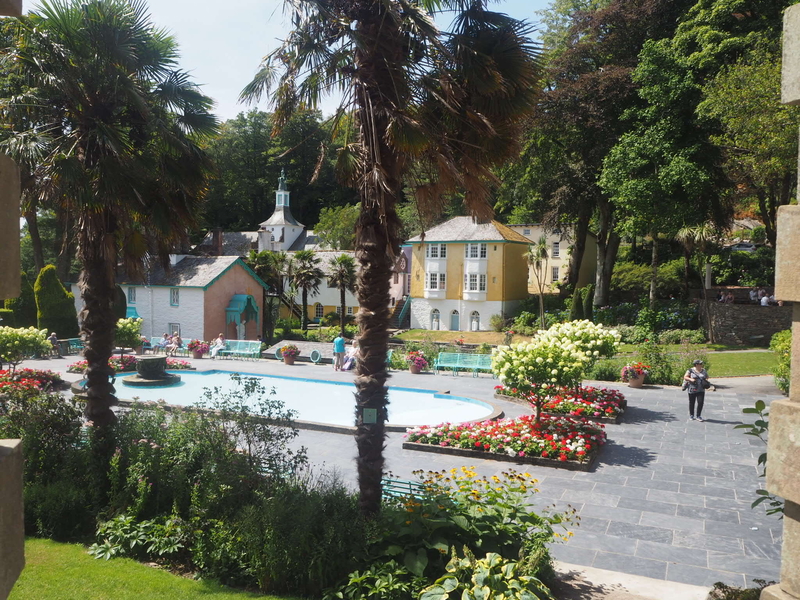 You can get free entry to the village if you are having lunch at Castell Deudraeth or lunch or afternoon tea at Hotel Portmeirion. 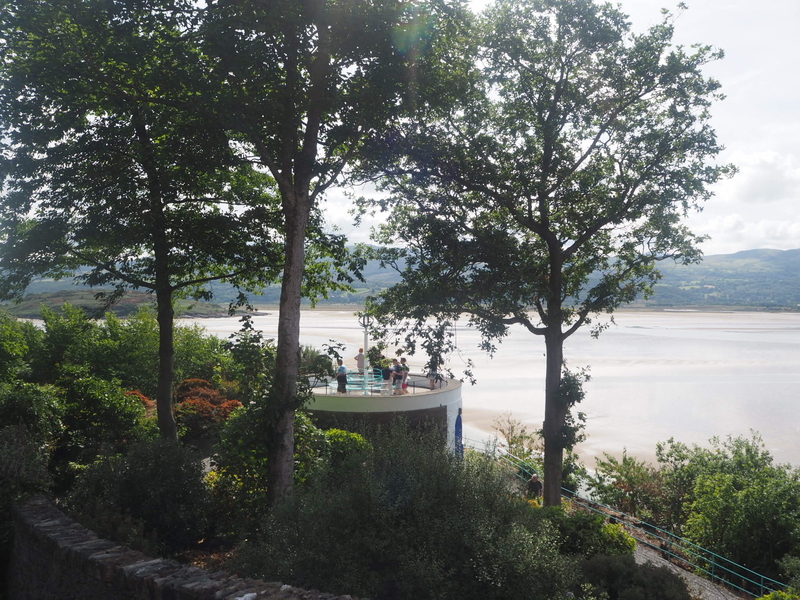 Portmeirion is also well known for providing the backdrop for the 1960s television show The Prisoner. Every year fans of the series hold a convention at the village and the village also has a shop solely dedicated to The Prisoner clothing and official merchandise. 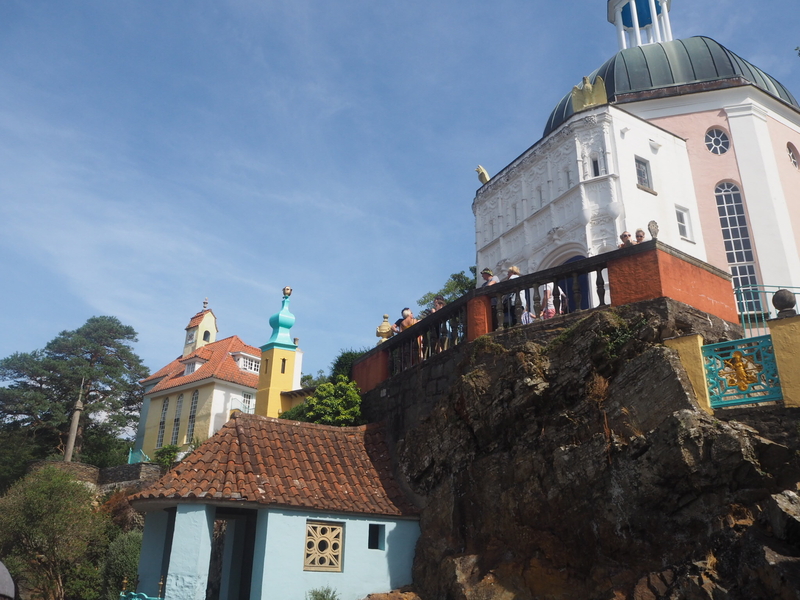 There are complimentary guided tours available throughout the day and we were lucky enough to arrive when one was just starting. 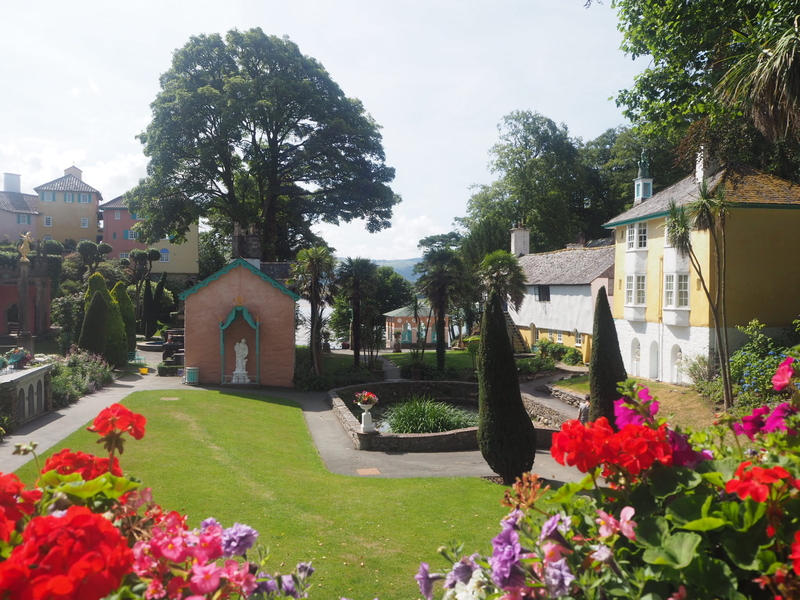 There is the option to stay overnight in the village with a range of accommodation on offer. 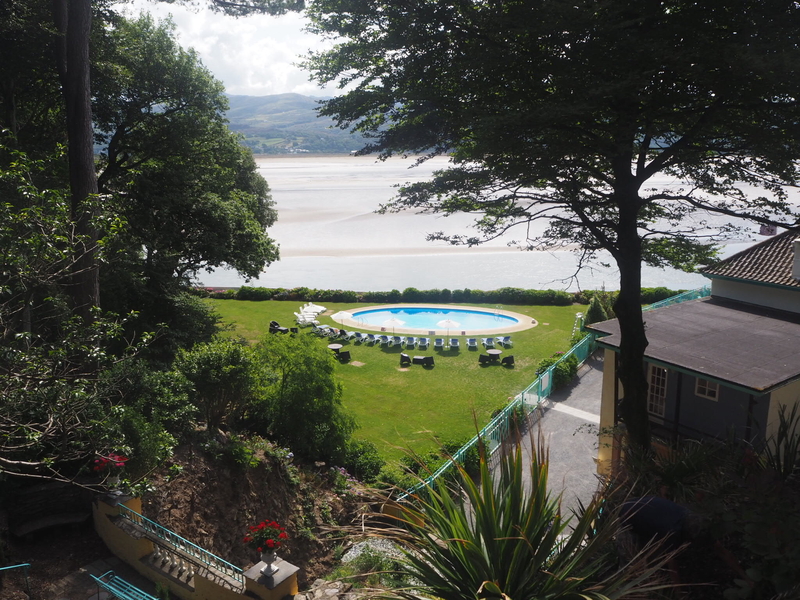 There is The Hotel Portmeirion, Castell Deudraeth, self-catering cottages as well as 25 serviced rooms in the village. 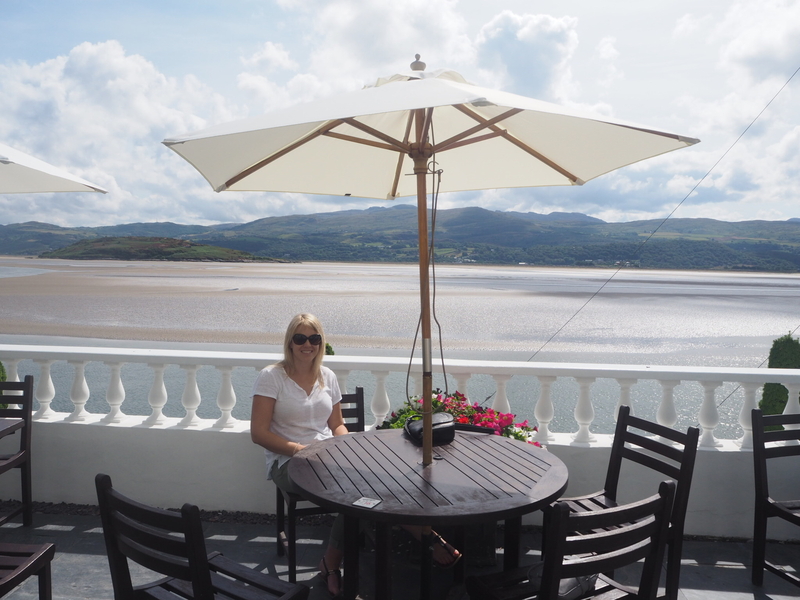 After a guided tour and a stroll through the village taking lots of photos we were in need of some refreshment so stopped at the very picturesque Hotel Portmeirion for a cup of tea. 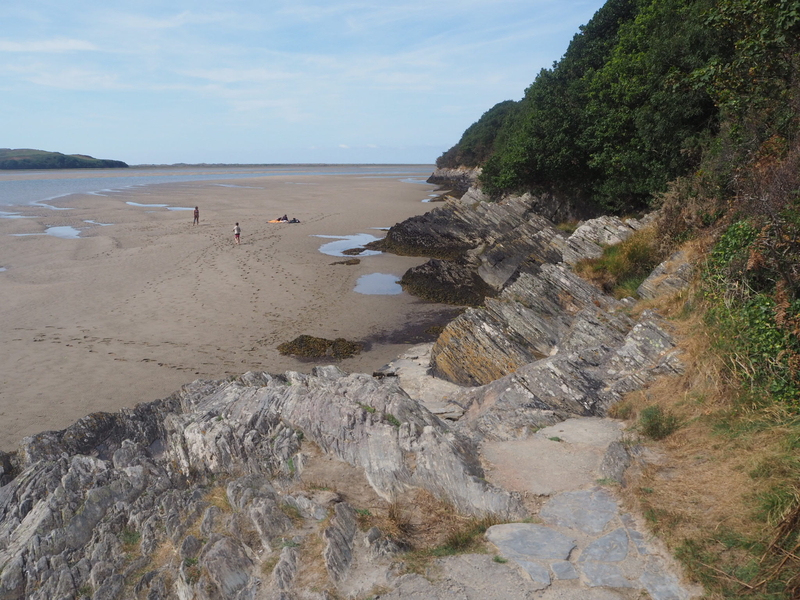 If you walk past the hotel there is a walk that takes you to the beach – it’s only around a ten minute walk and is definitely worth doing. 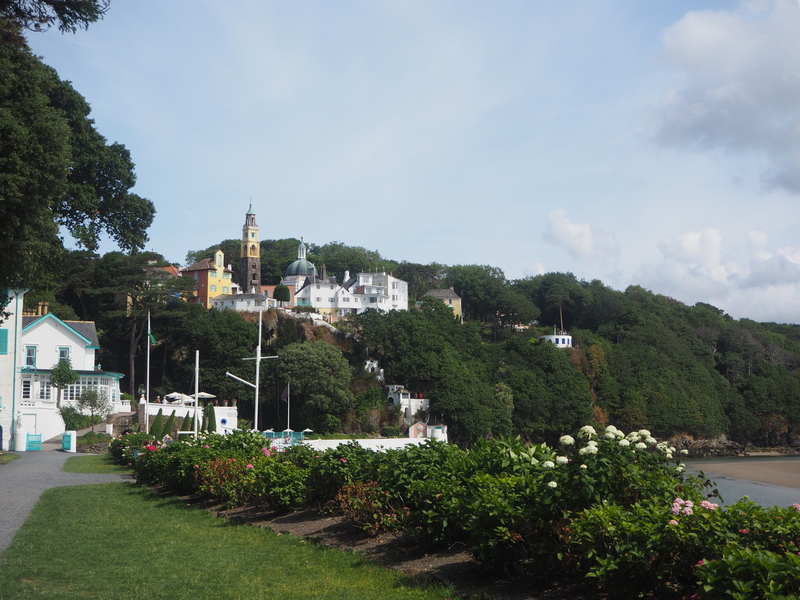 After our pit stop and walk to the beach, we started walking back up though the village and at each turn the views and buildings just got better and better. 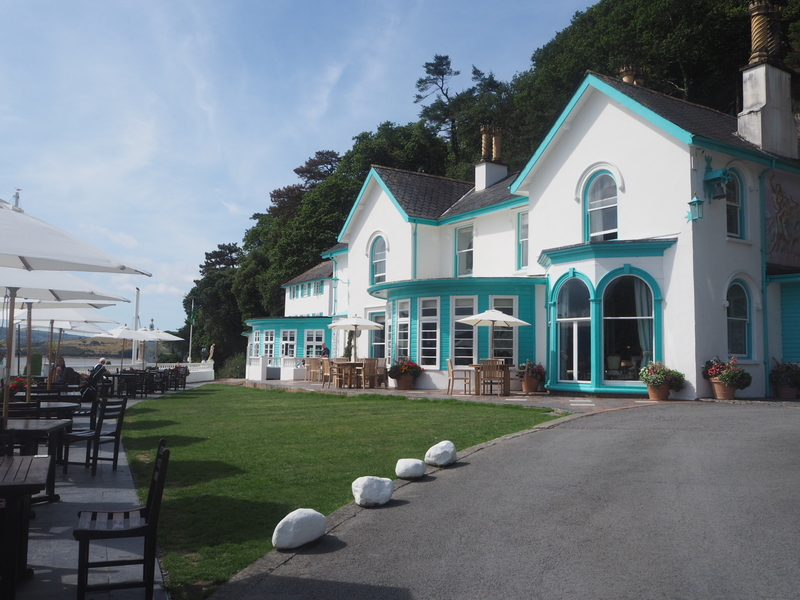 We had lunch at Caffi No. 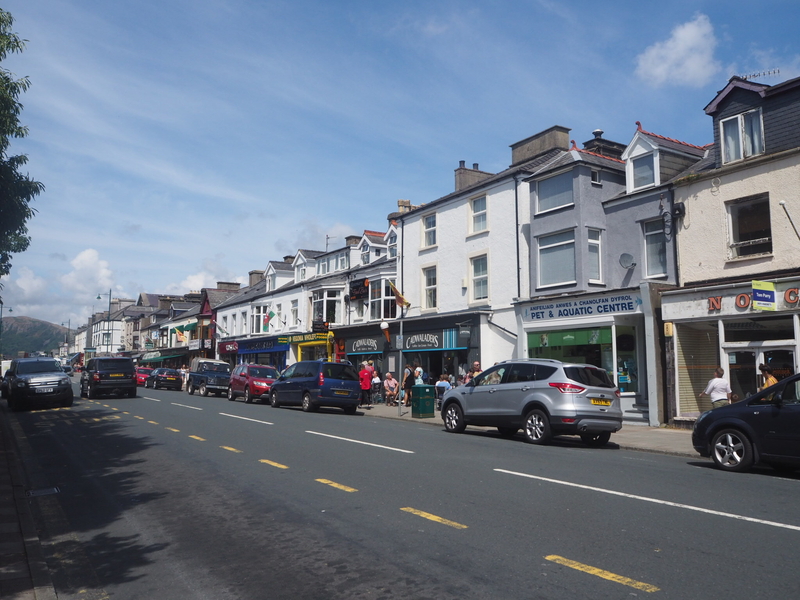 6 near the entrance to the village and shared a hot roast sandwich and a cheese and onion pasty. 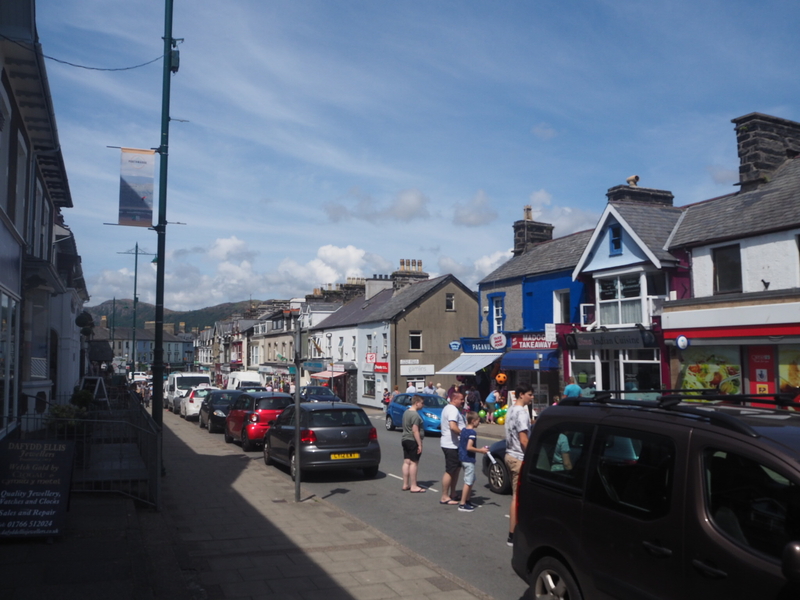 Upon exiting the village we realised how close to the town of Porthmadog we were so decided to pop in for an ice cream. 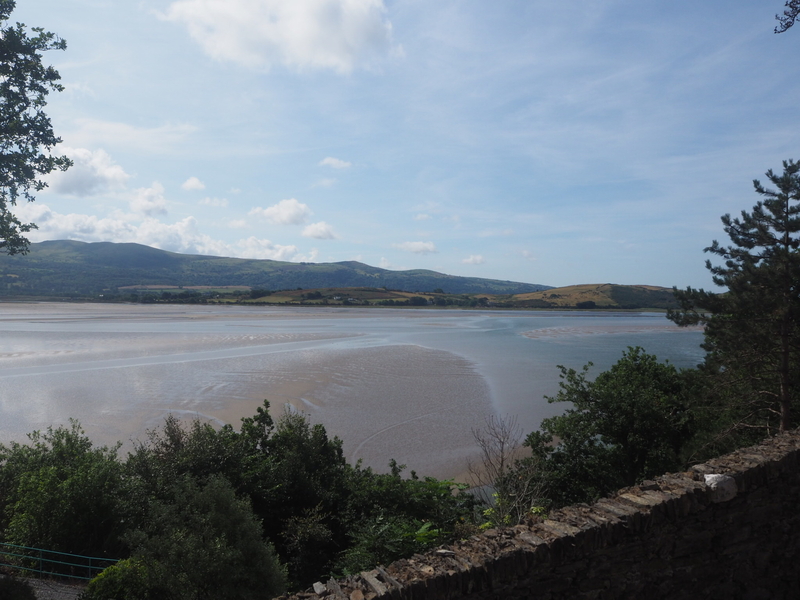 Porthmadog is a harbour town situated on the Glaslyn Estuary and is rich in maritime history. 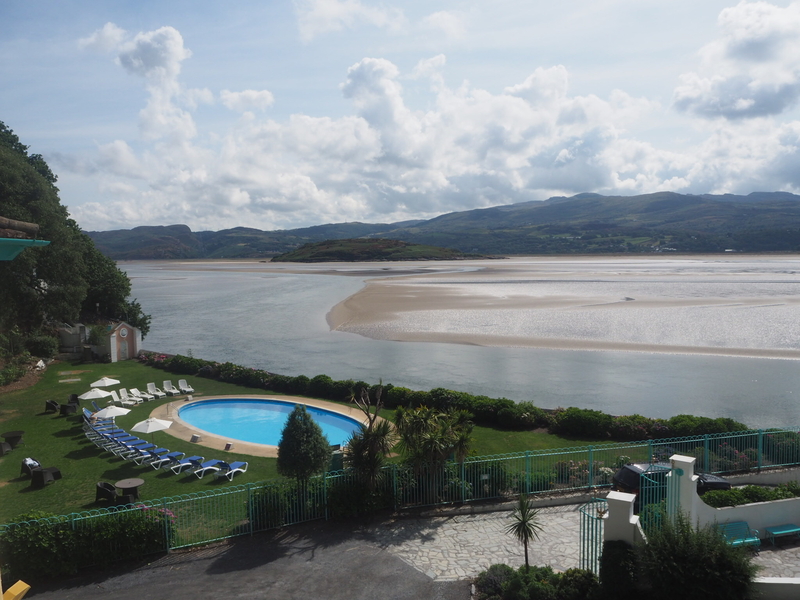 In the past it was a vital, busy shipping port for the international slate trade brought down from nearby Blaenau Ffestiniog. 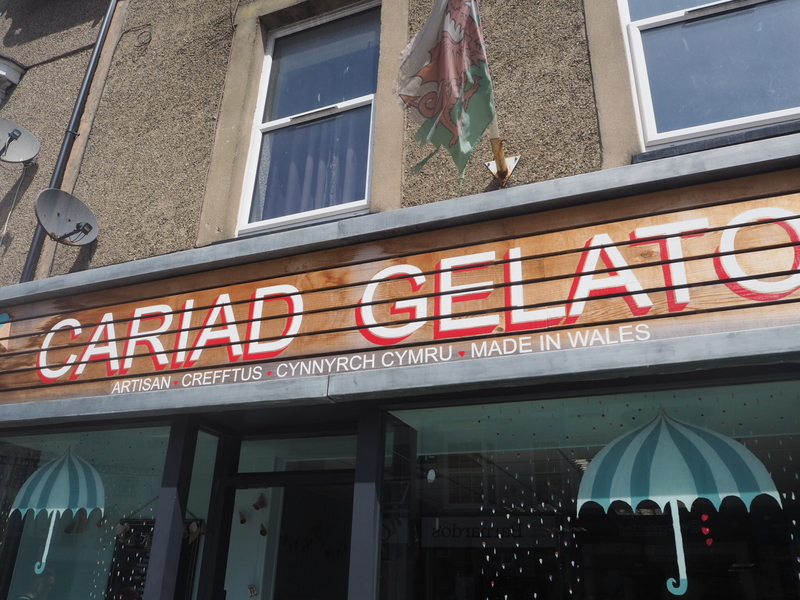 We got ourselves an ice cream from Cariad Gelato and enjoyed a stroll through the town. 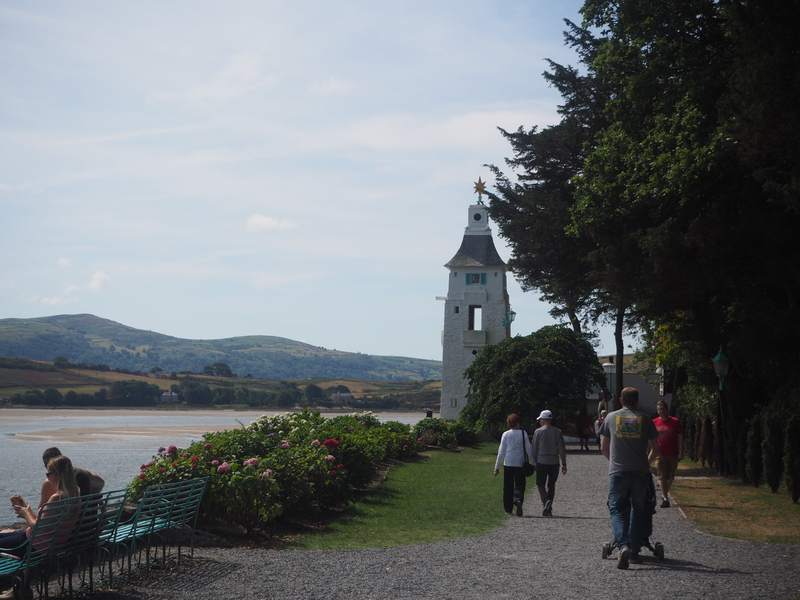 We had a really enjoyable day and I would recommend popping into Porthmadog after your visit to Portmeirion Village. 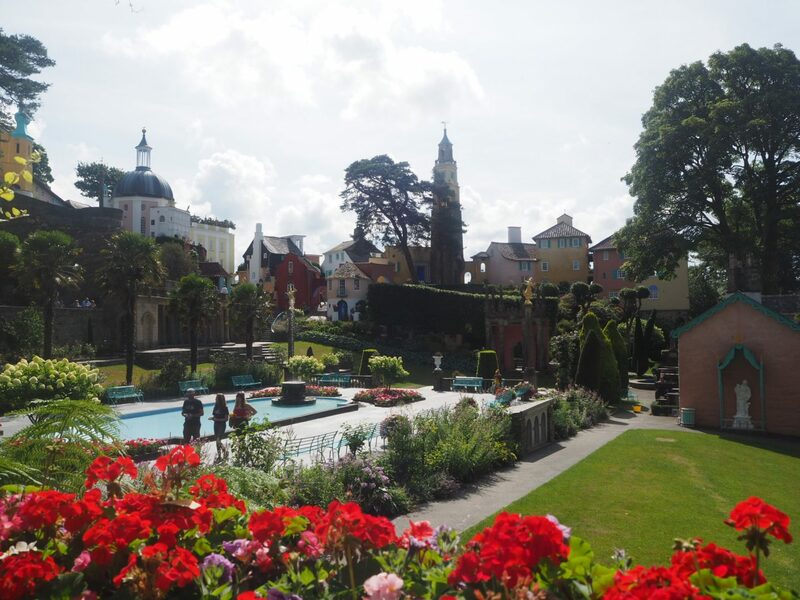 Have you ever visited Portmeirion before?